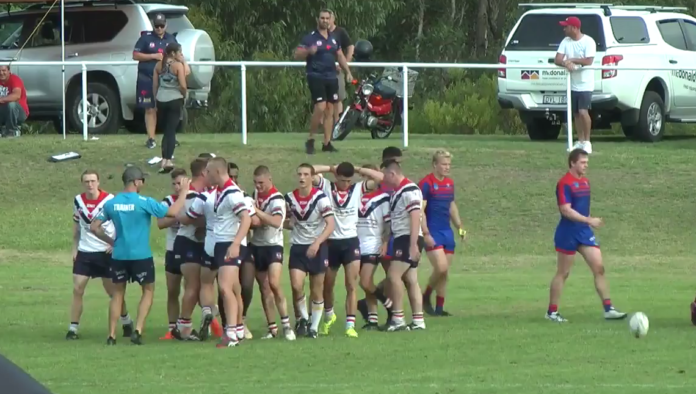 Adam McEwen’s SG-Ball team defeating the Newcastle Knights for the first time 24 to 20, and surging to the top of the ladder. Fullback Sandon Smith was a standout with two try assists in the opening half. Against the run of play, Riley Meyn went 90-metres to put his side back in front, before Jerry Ratubua scored the match winner. The Roosters will face third-placed Manly this weekend.